DSSI engages a world-class Scientific Advisory Board (SAB) for DILIsym. DILIsym’s SAB currently consists of 6 world-renown scientists representing many scientific disciplines relevant to drug-induced liver injury. In addition, members of the SAB have extensive experience in the areas of medicine, pharmacology, and immunology with publications spanning numerous disciplines and journals. The SAB members provide strategic guidance and direction for our research and scientific programs, engaging individually with the DSSI team to address specific scientific areas, participate in DILIsym Review Sessions, and gather for an annual progress update. Board members are appointed in their personal capacity and not as representatives of their respective universities or of any other entities with which they may be affiliated. Chairman, Board of Directors, DILIsym Services Inc.
Paul B. Watkins, M.D., is a professor of pharmacy, medicine, and public health at The University of North Carolina at Chapel Hill (UNC), and the director of the UNC Eshelman School of Pharmacy Institute for Drug Safety Science (IDSS) since its formation in 2009. He serves as chairman of the Board of Directors for DILIsym Services, Inc., a company creating and using DILIsym software to improve the development of safer drug therapies, and director of The DILI-sim Initiative, a public-private partnership consisting of major life science companies charged with developing the DILIsym software. As an internationally recognized expert in drug safety and a clinically trained hepatologist, Dr. Watkins has extensive research experience in drug-induced liver injury (DILI), which includes basic investigation in drug metabolism and transport, clinical studies, causation assessment, and regulatory affairs. He has been continuously funded for over 30 years by the National Institutes of Health for basic and translational research, and he is one of the most frequently cited authors in the field of pharmacology. He is chair of the steering and genetics committees for the U.S. Drug-Induced Liver Injury Network supported by the National Institutes of Health. Dr. Watkins is the recipient of numerous awards including the 2018 Toxicology Career Award from the American Society of Pharmacology and Experimental Therapeutics (ASPET), a MERIT award from the National Institutes of Health, the 2014 Agilent Thought Leader Award, and the 2015 Rawls-Palmer Innovation in Medicine Award; he has been elected to several honorary societies including the Association of American Professors (AAP). 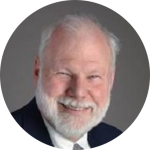 He has served on many advisory boards, including almost a decade on the GlaxoSmithKline Scientific Advisory Board. 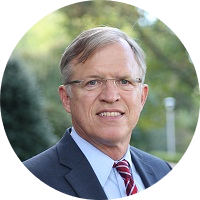 Prior to serving as director of the IDSS, Dr. Watkins was director of the UNC Translational and Clinical Sciences (TrACS) Institute and principal investigator on the university’s $60 M Clinical and Translational Science Award (CTSA) supported by the National Institutes of Health. His academic career started at the University of Michigan where he became Professor of Medicine and Professor of Pharmacology and director of the General Clinical Research Center. 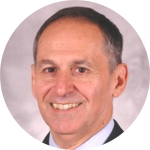 David S Pisetsky, M.D., Ph.D.
David S. Pisetsky, M.D., Ph.D.
Dr. Pisetsky is Professor of Medicine and Immunology at the Duke University Medical Center, and Chief of Rheumatology at the Durham Veterans Administration (VA) Hospital. He is a leading expert on autoimmune diseases including rheumatoid arthritis and systemic lupus erythematosus. Dr. Pisetsky has spent years researching the pathogenesis of systemic lupus erythematosus and the immunological properties of nuclear macromolecules. He has published almost 300 papers and chapters, and in 2001, was awarded the Howley Prize from the Arthritis Foundation for his work. Dr. Pisetsky served as editor of Arthritis and Rheumatism, the leading journal in the field of rheumatology, from 200? to 2005, and currently is the physician editor of The Rheumatologist. Dr. Pisetsky received his PhD and MD degrees from the Albert Einstein College of Medicine, and completed his internship and residency in Internal Medicine at the Yale-New Haven Hospital. Dr. Park was awarded a Fellowship of the Royal College of Physicians in 2009 and is also a Commissioner on Human Medicines and a Fellow of the Academy of Medical Sciences. Dr. Park has received a number of honors and distinctions which include the B.P.S. 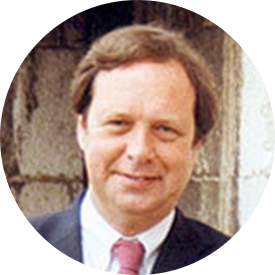 Sandoz Prize for Pharmacology, the Pfizer Medal for Innovative Science, The SmithKline and Beecham Prize for Clinical Pharmacology, The Vane Prize for Drug Metabolism and The Werner Kalow Lectureship (Canada). He has authored over 400 peer-reviewed publications. He currently leads the Innovative Medicines Initiative consortium in Europe, to evaluate existing and emerging models of how our liver responds to drugs, Mechanism-Based Integrated Systems for the Prediction of Drug-Induced Liver Injury (MIP-DILI). 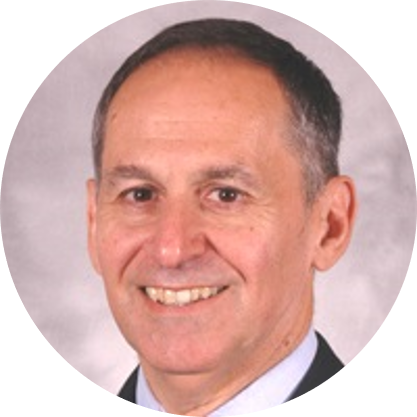 Dr. Kaplowitz is a professor of medicine and chief of the Gastrointestinal Division at the Center for Liver Disease Research, University of Southern California. He is also the director of the USC NIDDK-sponsored Research Center for Liver Diseases. Dr. Kaplowitz has received a number of important honors and distinctions including election to membership in the American Society for Clinical Investigation and the Association of American Physicians. He is recipient of the Western Gastroenterology Research Prize, the William S. Middleton Award, and the Solomon A. Berson Medical Alumni Achievement Award in Clinical Science from his alma mater, the Merit Award from the National Institutes of Health, the Mayo Soley Award from WSCI, the AASLD Distinguished Achievement Award, and the ALF Distinguished Scientific Achievement Award. Dr. Kaplowitz has made pioneering contributions that have helped to elucidate the molecular events that lead to the elimination of drugs and toxic chemicals by the liver, the role of the liver in defense, the regulation of life and death of liver cells and the importance of free radicals and the toxicity of the metabolites of oxygen in the pathogenesis of liver disease. In recent years he has focused on the role of signal transduction, ER and mitochondrial stress in the pathogenesis of liver injury. He has published more than 175 peer-reviewed, scientific articles, 120 scholarly reviews and has edited nine books related to liver diseases. 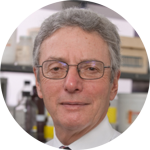 Robert A Roth, DABT, Ph.D.
Dr. Roth’s work is in the area of liver toxicology; especially the role of inflammation (neutrophil, cytokines, activated endothelium, thrombin) as a determinant of sensitivity to hepatotoxic chemicals (pyrrolizidine alkaloids, aflatoxin, drugs). His research includes using inflammation as a determinant of susceptibility to the toxic effects of drugs and other chemical agents. The Roth lab has found that a small dose of endotoxin that is without effect by itself markedly enhances the hepatotoxic effects of aflatoxin B1 , as well as other toxic agents that occur in our food or environment. Thus, endotoxin exposure or underlying inflammation from other causes may be an important determinant of sensitivity of people and animals to toxic chemicals. These findings improve the understanding of how concurrent inflammation and its interaction with drugs may lead to some of the rare, idiosyncratic reactions people experience when they take certain drugs. Roth’s team is working to characterize this inflammation-induced augmentation of toxicity and to explore the cellular and molecular mechanisms that underlie it, with particular emphasis on the role of inflammatory factors such as neutrophils, cytokines and the hemostatic system. Dr. Roth received the NIH MERIT Award in 1988, Honorary Member, Phi Zeta Honor Society of Veterinary Medicine in 1989, Burroughs-Wellcome Toxicology Scholar Award in 1991, Michigan State University Distinguished Professor, 1991, Kenneth DuBois Award for Achievement in Toxicology in 2001 and Society of Toxicology/Astra-Zeneca Traveling Lectureship Award, 2006. Dr. Uetrecht is Professor of Pharmacy and Medicine and the Canada Research Chair in Adverse Drug Reactions. He received his Ph.D. in organic chemistry at Cornell University in 1972, M.D. at Ohio State University in 1975 and did his medical residency at the University of Kansas Medical Center from 1975-1978. 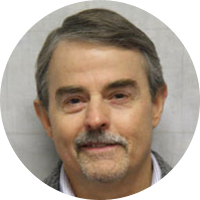 He completed his clinical pharmacology fellowship in 1981 at Vanderbilt University and then joined the faculty as an assistant professor. He moved to the University of Toronto in 1985 as an associate professor and was the associate dean of pharmacy from 1994 to 1998. 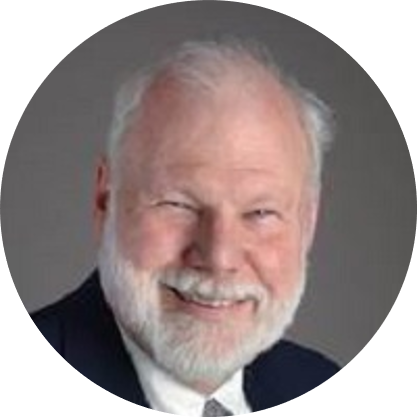 He was awarded the Canada Research Chair in Adverse Drug Reactions in 2001 and is a Fellow of the Canadian Academy of Health Sciences. He chaired the Gordon Conference on Drug Metabolism in 2002 and initiated and chaired a new Gordon Research Conference on Adverse Drug Reactions, the first of which was held in 2005. He is currently on the editorial board of Chemical Research in Toxicology, Current Drug Metabolism, Drug Metabolism Reviews, Journal of Immunotoxicology, Expert Opinion on Drug Metabolism and Toxicology, Drug Metabolism Letters and was formerly on the board for Drug Metabolism and Disposition and Chemico-Biological Interactions. He chaired the Medical Research Council of Canada grants committee for Pharmaceutical Sciences from 1992-1997 and currently chairs the Health Canada Scientific Advisory Panel for Hepatotoxicity He received the Janssen-Ortho Research award in 2001, the Student’s Administrative Council Undergraduate Teaching Award in 2005, the McEwan Lectureship in 2007 and was voted Teacher of the Year by the 3rd year class in both 2007 and 2008.